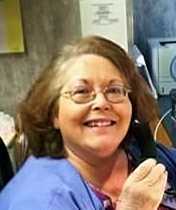 Diane (Dee Dee) Roslan, age 66 of Mayfield Hts. OH, left this world to be with the Lord on October 2, 2017. Diane was born June 24, 1951 in Cleveland Ohio. Diane was the daughter of the late Ann Roslan (Michalik) and Edward Roslan, beloved sister of the late Chrissy Petriski, loved aunt of Sabrina Shultz (William) & Emma Petriski. Diane found her success as Office Manager with Family Dental of Mayfield Ohio., where she worked until retirement. Diane will be truly missed, but never forgotten! Dee Dee, I will truly miss your loving smile. I know as much as your passing has hurt, you are with Chrissy again. What you’ve wanted for some time. Heaven has gained another angel! I will always call you my Aunt Dee Dee. Your smile and laugh is one of a kind. You will be missed by many. Please shine down and ease the pain of all your friends and family, but mostly Sabrina and Emma. Find your Chrissy. Hug your parents. Rest In Peace Dee Dee.